One of the most beautiful regions in Belgium! You might even meet a gnome! 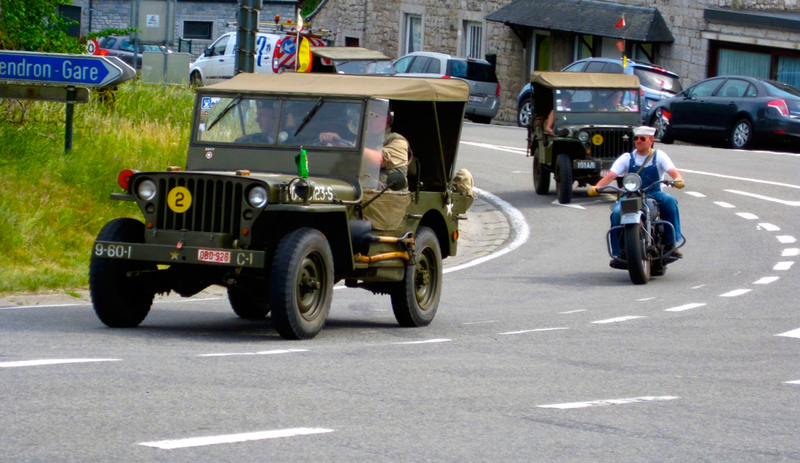 • April 20-28, 2020 Liege-Bastogne-Liege Cycling Classic Special Edition Tour returns! This tour has two departures. One in the spring and one in the fall, with similar, but different itineraries. These itineraries evolve each year to be able to visit different breweries and to be able to take in events as they become available. The spring tour will start in the foothills of the Northern Ardennes and swing south to the Central Ardennes. The fall tour will start in the Central Ardennes, swing further south, then west toward Dinant and the Meuse River Valley. There are just so many breweries and attractions in the Ardennes, it’s impossible to visit them all in one tour. By having two different departures, and an evolving itinerary, this also keep it interesting for returning travelers, of which there are more and more of each year. The tours typically overnights in the towns of Aubel, Durbuy, Mont, Dinant and Leuven. The Ardennes Mountains Tours also set themselves apart from the other BBM! tours in that they take place in mostly the small southeast region of Belgium, which translates into even less time driving and more time doing. The French-speaking Ardennes region is noted for the famous breweries of Orval, Chimay, Achouffe, Fantome, Rochefort, Val Dieu, Trois Forquet, Bastogne, Interpol and Caracole. It is also home dozens of lesser known, but equally as magnificent breweries which produce some of the most eventful beers on the planet. That’s part of the genius of creating a beer tour, taking you to the source of some of your favorite beers and introducing you to some new favorites. You’ll also visit the WWII Museum in Bastogne, which chronicles the infamous Battle of the Bulge, which took place in this region. 2015 marks the 200th Anniversary of the Battle of Waterloo. You’ll visit the museum, battlefield and the new Waterloo Brewery. And, as always on BBM! tours, there will be plenty of unstructured time to explore, sightsee, shop, dine, discover beer cafés on your own and enjoy your vacation. Once you experience the beauty and magic of the Ardennes you will appreciate the beers of the region even more through this experience of a lifetime. Eight nights accommodations in nice, friendly, centrally-located hotels often in the old town section of the city and some in bucolic rural settings. Spring and Fall are the perfect time to visit Belgium. Combine this tour with the Farmhouse Ale Tour of Belgium & France, which precedes it, or Lonely Monks Trappist Tour that immediately follows and have a grand multi-week tour of beer paradise. Durbuy nestled in the heart of the Ardennes Mountains. Below is the itinerary for this tour which begins in the northern foothills of the Ardennes Mountains and swings south through some of Belgium's most scenic forest and mountains, home to an amazing range of Belgian beers. This Special Edition Tour will feature the famous Liége-Bastogne-Liége cycling race, the most difficult single-day race in the world. The race begins in Liége winds south through the Ardennes Mountains to Bastogne, where it turns north and climbs back through the Ardennes to Liége. In all, about a 260 mile round trip. This is one of three races that make up the Ardennes Classic and lead up to the Tour de France (TDF). You will see many of the professional riders who regularly ride TDF in this race. We plan to view the race in four locations. An updated and detailed itinerary will replace the one below soon. We hope you'll join us! Day Six • Mont Today we venture south to the Trappist Abbey of Orval to tour the ruins of the old abbey, tour the Brewery Museum and Abbey Museum, and have lunch at the La Nouvelle Hostellerie d’Orval, which looks over the majestic pond at the entrance to the Abbey. This pond is also home to the adorable swans of Orval, which are the pride and joy of the locals. The ruins of the old abbey and new abbey are impressive sites that will give you an even greater appreciation for their beer. Tonight we have a company dinner at our inn. (Breakfast, * lunch & dinner) * This 4th lunch replaces one company dinner.